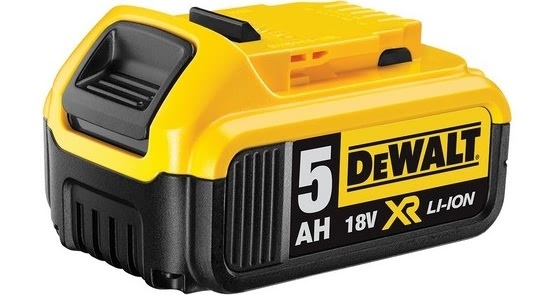 The importance of maintaining your Dewalt battery cannot be stressed enough. Without it your cordless power tool’s effectiveness will be non-existent. Because of this we have decided to look at how you can get the most out of your Dewalt battery with four handy tips. Follow this guide to ensure your battery performs to maximum effect for a sustained length of time. A common belief when it comes to batteries is that they should be completely discharged prior to charging. This is not the case. Running it down may cause long-term damage to the battery. We suggest you stop using it once you feel a substantial decrease in power from your tool. Discharge the battery under normal use. Remove the battery, once you feel a loss of power from the tool. Do not tape the trigger ON. Let the battery sit out of the charger for a least 2 hours until the battery is at room temperature. Place the battery in the charger overnight to allow for a full charge on each individual cell (A minimum of 8 hours at room temperature). If this approach doesn’t lead to a difference in run-time then you should replace your battery. Working outside can have a major effect on your battery depending on the temperature. If the batteries are too hot (40°C or higher) or too cold (below 4°C), they will not take a full charge. Attempting to charge batteries outside the 4°C-40°C range can result in a permanent loss of run-time. When batteries are being charged and discharged, a chemical reaction is taking place, and if it is too hot or cold the chemical reaction is disturbed causing a loss of run-time. Transporting batteries can cause fires if the battery terminals come into contact with conductive materials such as keys, coins and even your hand tools. Avoid this by protecting the battery terminals and keeping them well insulated from materials such as those above. Take care of your Dewalt battery and it will take care of your work. Whether it is a Flexvolt battery or another of our great selection, you will reap the rewards. Check out our Dewalt batteries here and order before 17.30 for next working day delivery.